figures and people on reality TV. 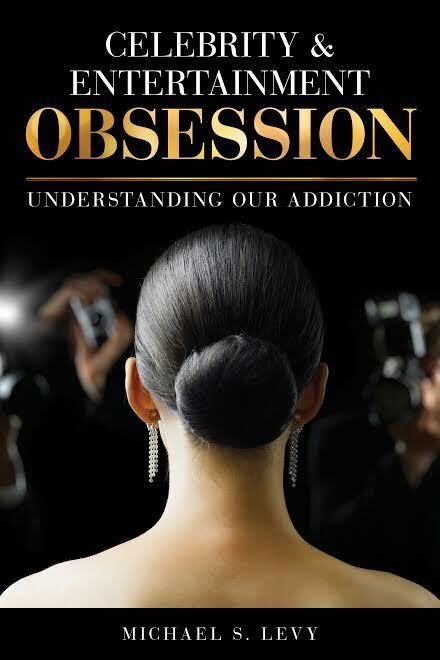 I have been baffled for many years now on the mania I see surrounding celebrities, especially reality TV stars, so was excited to have a chance to review Celebrity & Entertainment Obsession. While I expected a light overview of the subject aimed at the general population, I quickly discovered I was utterly mistaken. Author Michael S Levy, PHD, has offered up an in depth look on society's current obsession with celebrities and entertainment. Drawing from his long career as a clinical psychologist, he explores the subject from many angles and offers tons of examples in support. This book looks at our very humanity - who we are as a species. Then it adds our changing environment that has moved from a time where our very survival took every hour of the day and all our energy, to current times where we have free time to fill and money to spend. Levy looks at our feelings of isolation, our desire to feel good, our need to be entertained, addiction, the effect of mass communications and how adept the entertainment industry has become in capturing our attention. Celebrity & Entertainment Obsession is a great read for anyone interested in seriously exploring this subject, but it's not a fast read. You need to take your time and absorb what each chapter offers before moving on. I want to offer kudos to the author as well for being concerned about the ramifications of this phenomenon and wanting to do more than shed a light on the subject. In his epilogue he offers a section called, "Is There A Way Out?" Here you'll find ideas for parents and educators to help children understand the influence media has on their lives. A great way to close.